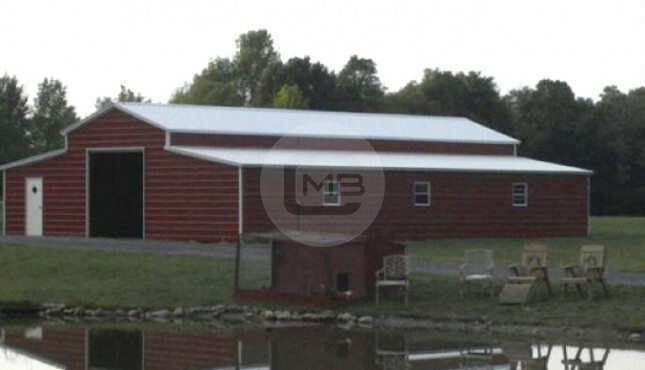 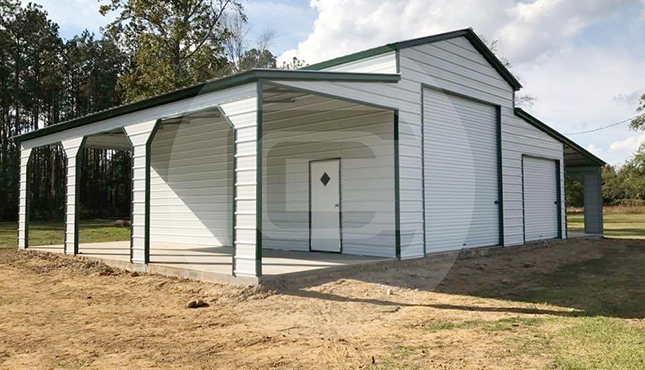 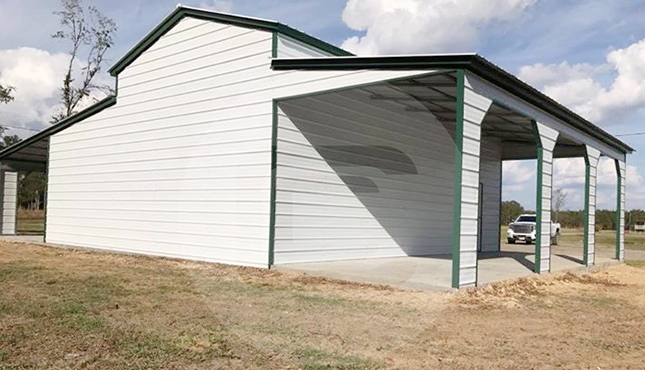 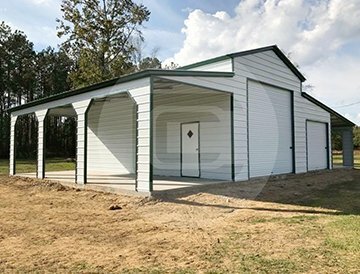 Customized Barn with Step Down Roof  54 feet wide and 31 feet long with height 14 feet for center buildings and 10/8 feet of lean-tos. 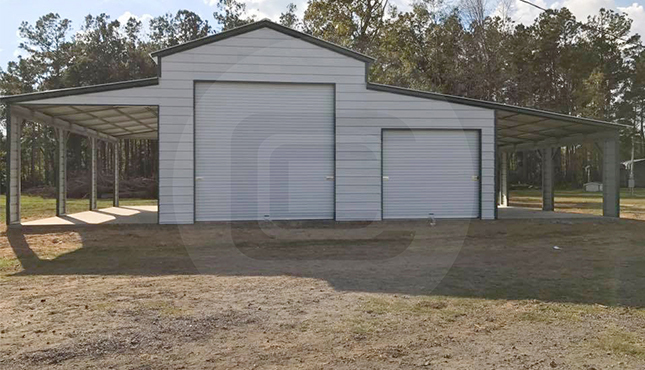 Center Building is 18x31x14 with a 36″ x 80″ walk in door, one 12x12 metal roll up door. 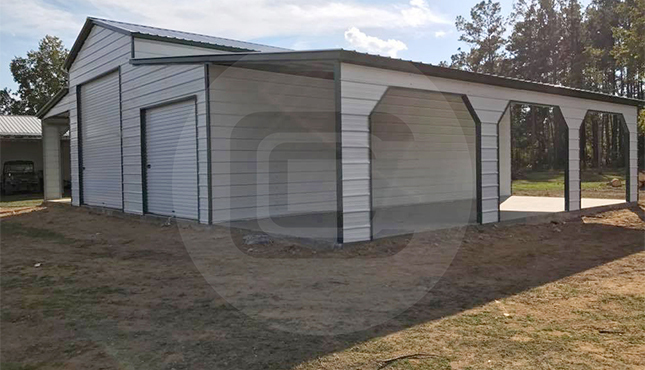 The right lean- to (12x31x10) is completely enclosed with a 9x8 metal roll up door. 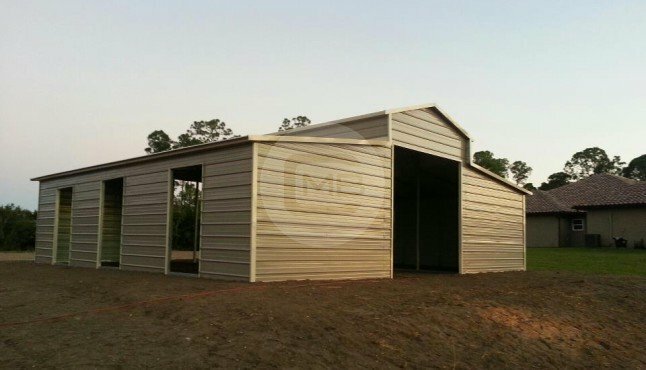 The outside left lean-to (12x31x10) is open with (2) gable ends and (3) 8x9 framed openings with 45 degree cuts. 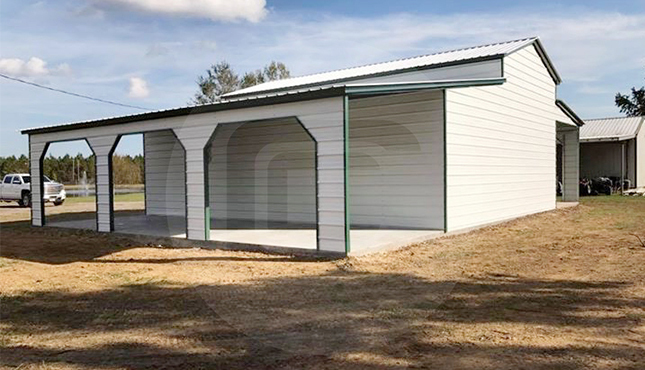 The outside right lean to is 12x31x8 with (3) 8x7 framed openings with 45 degree cuts in the corners. 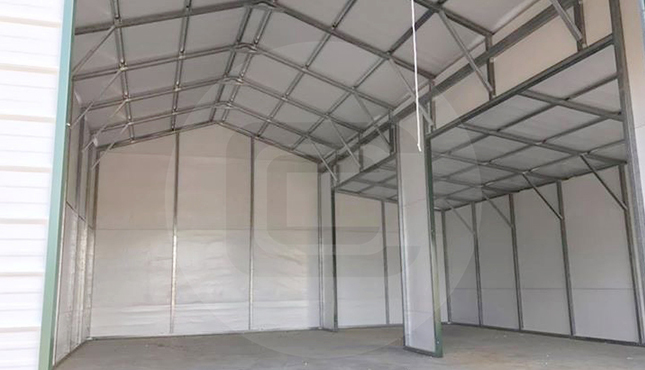 All enclosed sections are fully insulated with 4.3 R value insulation.